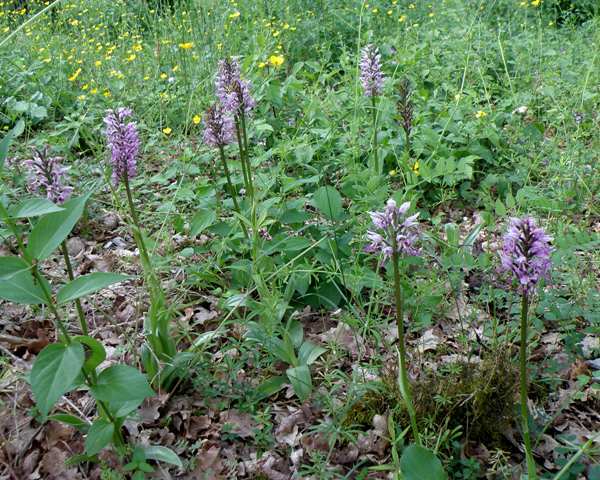 The Military Orchid is now extremely rare in England and absent from Ireland. Thankfully, it still still occurs in many other northern and central European countries. The Military Orchid grows up to 60cm tall and has 2 - 5 basal leaves which are bright green. There are futher smaller leaves sheathing the stem. The Inflorescence is cylindrical when the flowers are full open and typically carries between 2-25 flowers although more have been recorded. 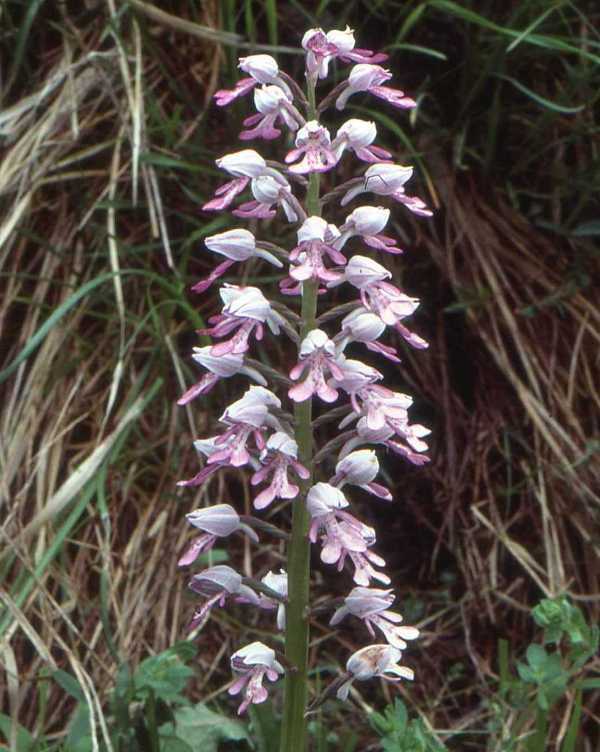 The common name of this orchid derives from the helmet-shaped hood formed by the upper petals and sepals. 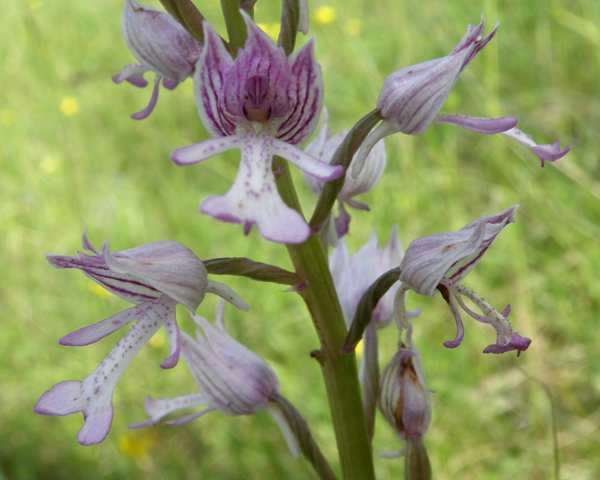 Orchis militaris occurs in Europe as far south as Spain. To the north its range extends into Siberia. In the UK it is confined to two sites in Buckinghamshire and Oxfordshire and has been subject to numerous conservation projects since being rediscovered in 1947 after being thought to have become extinct. 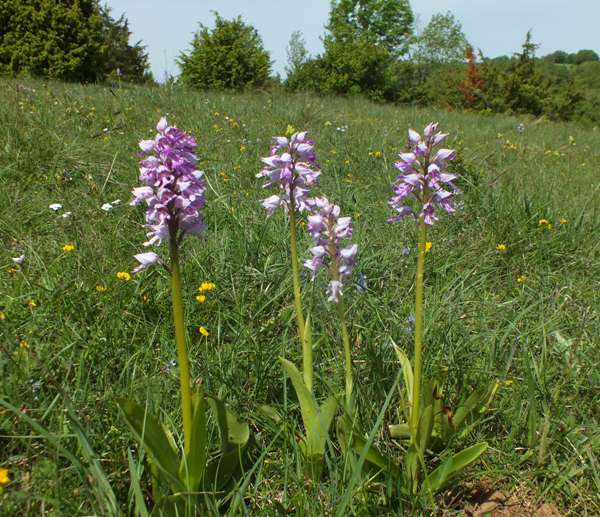 This orchid grows on alkaline substrates in meadows, in scrub and woodland edges. April (in southern France), May and June.